Change your everyday rooms and furnishings into something special with Quick and Easy Paint Transformations; you can learn how to create different finishes and effects with paint. 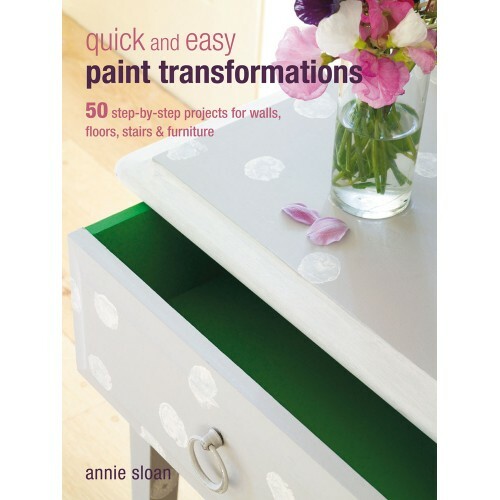 The first section of the book tells you everything you need to know before you start - how to prepare surfaces properly, choose the right paint for the right place, use the best tools and select a colour scheme that will work with the room in question. Then, the 50 different techniques are divided into nine sections: colour washing; distressing and aging; fabric effects; wood effects; stone effects and many more. There are step-by-step photos showing how to achieve the finished look, backed up by inspirational photos. Learn how to bring old second-hand furniture bang up to date, or how to give modern pieces a softly aged appearance. Give your home a makeover today!